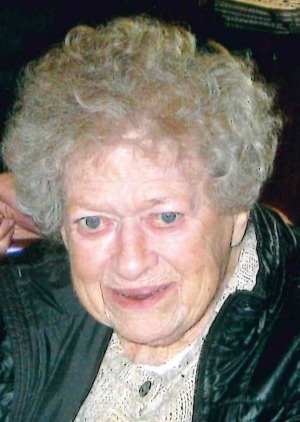 Lourane B. Spaar, age 95, of Willow Valley Communities, passed away April 15, 2018 at The Glen. Lourane was the daughter of Charles and Margaret Mutchler Bastian. She was a homemaker since her marriage to Leo Jesse Spaar on June 26, 1945. She was a graduate of Williamsport High School and Lycoming College. She had worked for the War Man Power Commission in Washington, DC and Chef Boyardee in PA.
She was predeceased by a sister and three brothers. Surviving are her son, Leo (Lee) John Spaar of Reading, PA, daughter, Margaret E. Bastain of Jasonville, IN, two grandchildren, four great-grandchildren, and six great-great- grandchildren. Friends and relatives are respectfully invited to a visitation on Thursday, April 19, 2018 at 10:30 AM until the Funeral Service at 11:30 AM at the DeBord Snyder Funeral Home & Crematory, 141 E. Orange St., Lancaster, PA 17602. Burial will follow the service at Millersville Mennonite Cemetery. Memorial Contributions may be made in Lourane’s memory to a charity of your choice. I am deeply sorry for your loss of Lourane. May you find comfort in the many precious memories you shared together as well as God’s promise to restore our dear loved ones to perfect life on a paradise earth. As you contemplate that promise, draw close to God in prayer and he will draw close to you and provide the neeed strength to carry you through the difficult days ahead. All the best wishes for your family at this time, take care.